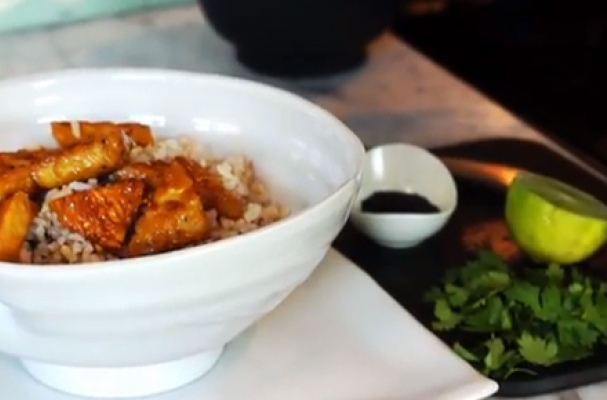 Sweet and spicy orange glazed tempeh is a delicious vegan dish. Tempeh is a fermented soy cake that is often used as a meat substitute. It can be purchased at health food stores and some grocery stores.